Lot 106. 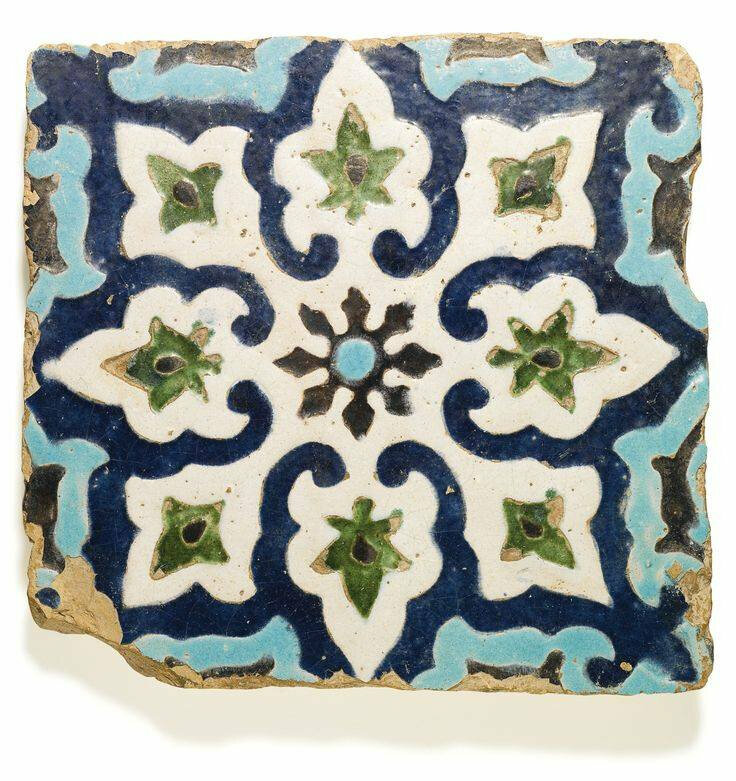 A large Timurid moulded cuerda-seca pottery tile, Central Asia, late 14th century; 35 by 33 by 4.5cm. Estimate 7,000 — 10,000 GBP. Lot Sold 8,750 GBP. Photo: Sotheby’s 2014.
the surface moulded and decorated in cobalt and light blue, green, cream and manganese with a stylised stellar design. Provenance: Ex-private collection, UK, formed in the 1950s and '60s. 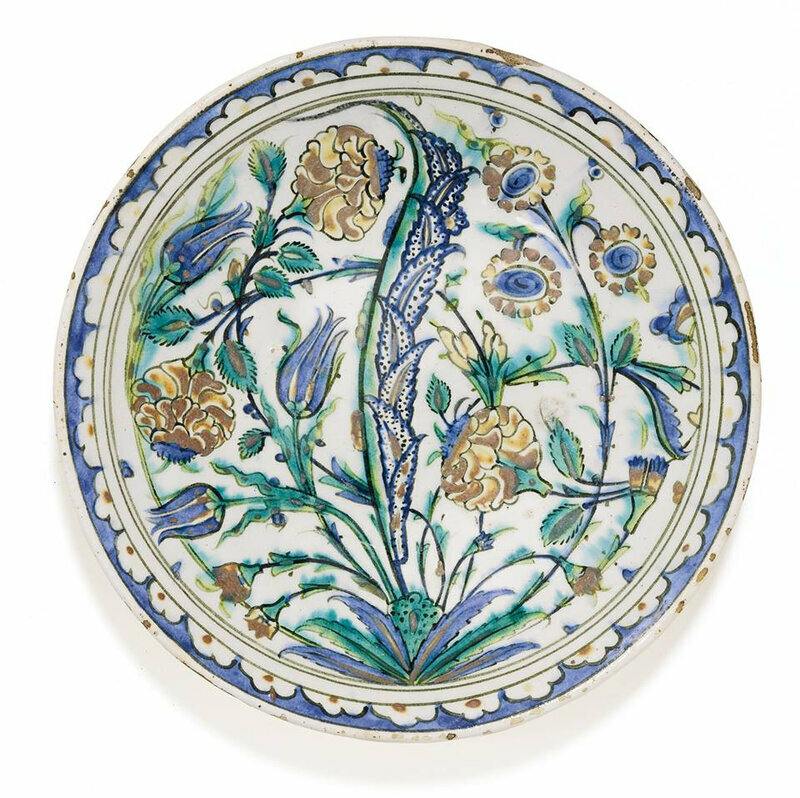 Exhibited: Arts from the Land of Timur, An exhibition from a Scottish Private Collection, Edinburgh, United Kingdom, 8-13 January 2012.